Lisa loves John: New Year's Resolution Food... Zoodles! One of my goals for 2015 (I feel like goals are better than resolutions for some reason?) is to eat more veggies! Super original, huh? My first step towards eating more veggies was obviously to follow Skinny Taste on Instagram and spend like 5 hours going through all of her photos... a pretty solid first step, if you ask me! 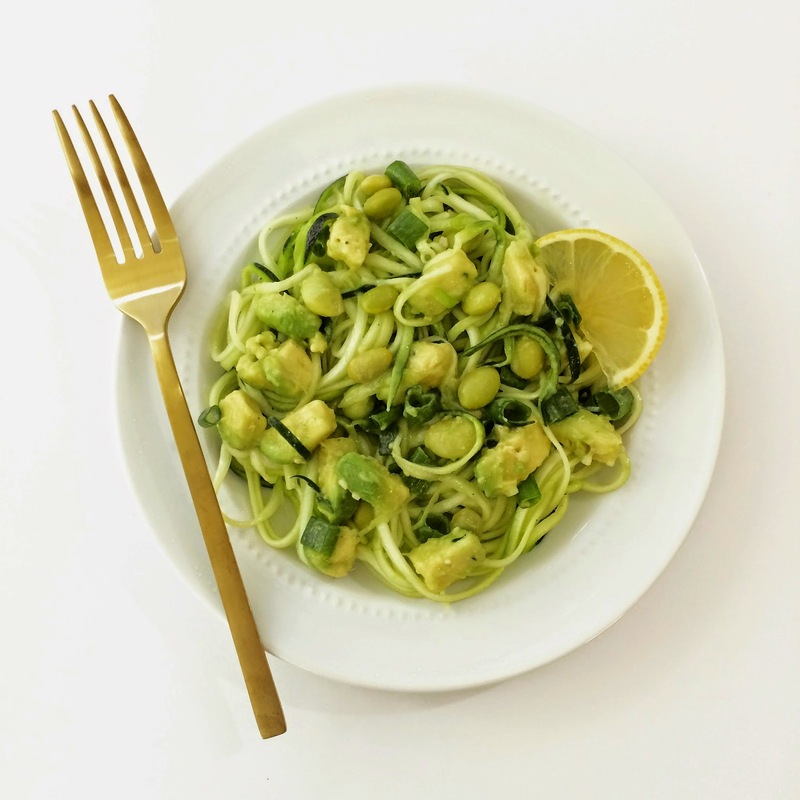 Anyway, she posted about this delicious zucchini noodle recipe with avocado and edamame, and it was totally my jam! I bought this veggie spiral slicer from Crate and Barrel a few months ago and I am quite pleased with how well it worked... Not to mention it was pretty inexpensive! I will definitely be making more recipes using it very soon! Begin by cutting the ends off of two zucchini, and create your zucchini noodles (or, zoodles). 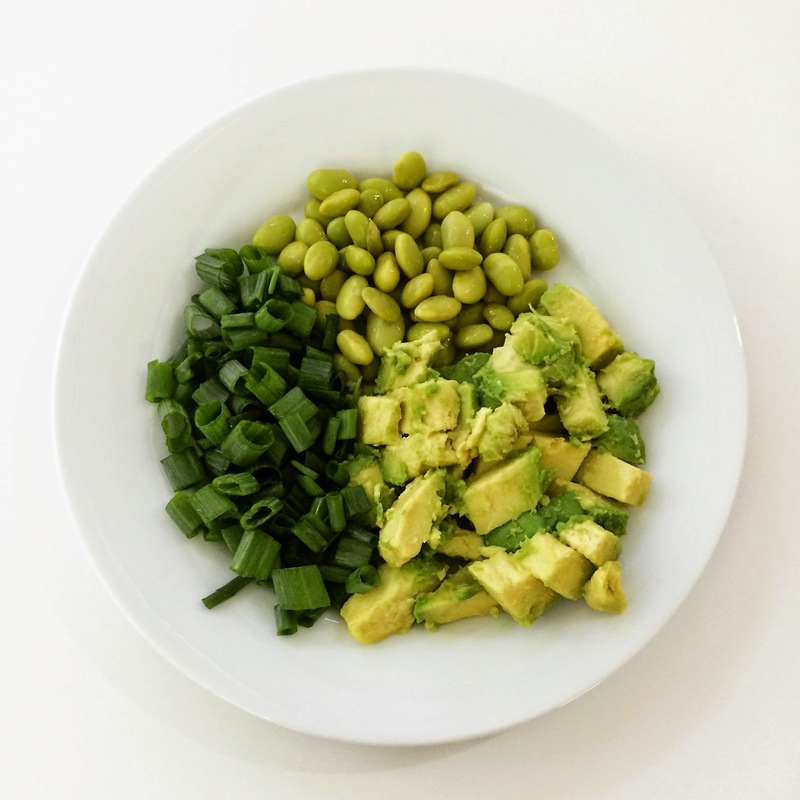 Add chives, edamame, and an avocado. For the dressing, mix 1 tbs of olive oil, 1/2 lemon, salt and pepper (I also used a little bit of garlic). 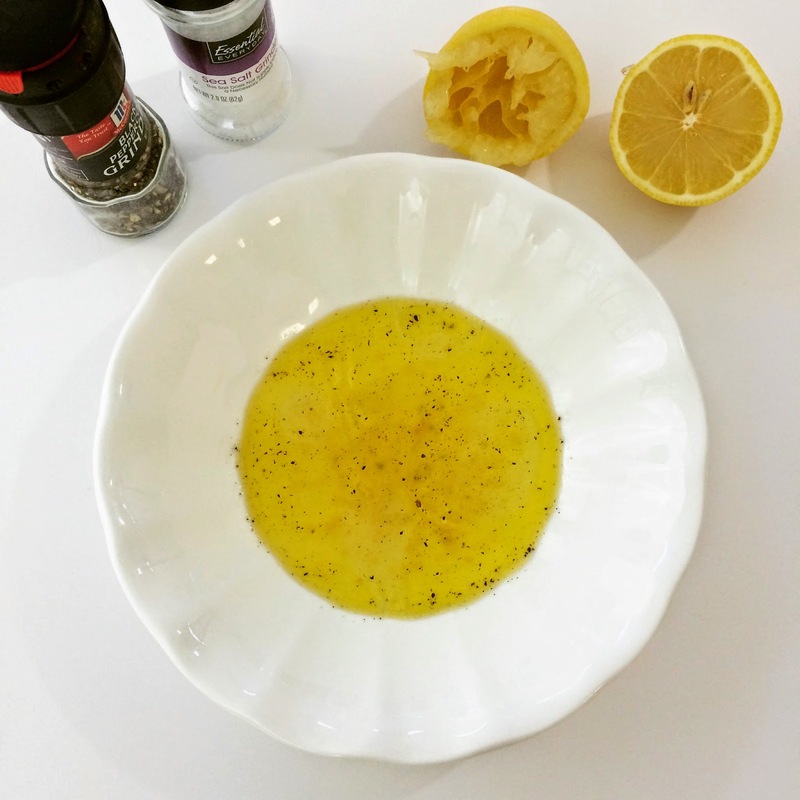 Toss the dressing over your salad and serve cold! Please share all of your spiralized recipes with me!! I'm hooked! Do you follow Amanda at Meet at the Barre? She is always talking about her spiralizer and recipe links. I really need to get mine ordered! I think I am going to do that today! This one looks delicious! This looks SO good! I've been wanting a spiralizer and I think I just need to commit already! One of my gadget buys for the year (hopefully sooner rather than later) is definitely a spiralizer. Every time I see a dish that uses one it looks so fresh and refreshing! Oh yum yum! Avocado is my jam. I'll be checking out that insta, pronto. Thanks for sharing girl. seriously thank you for sharing!! i have been wanting to make something like this! This sounds delicious, thanks for sharing! Now I just need to invest in some sort of spiralizer haha. I have made Skinnytaste's baked ziti and also her chicken pot pie soup. Both are really good and recommend them. I hope that you are having a good day so far too! That looks so good! We keep hearing more and more about spiralizers and saying we need to get one. We need to just make the move already! We feel like we are missing out on so much tastiness! Ooo that sounds yummy! I just got a spiralizer, I need some recipes too! This looks SO good and so healthy, love it. 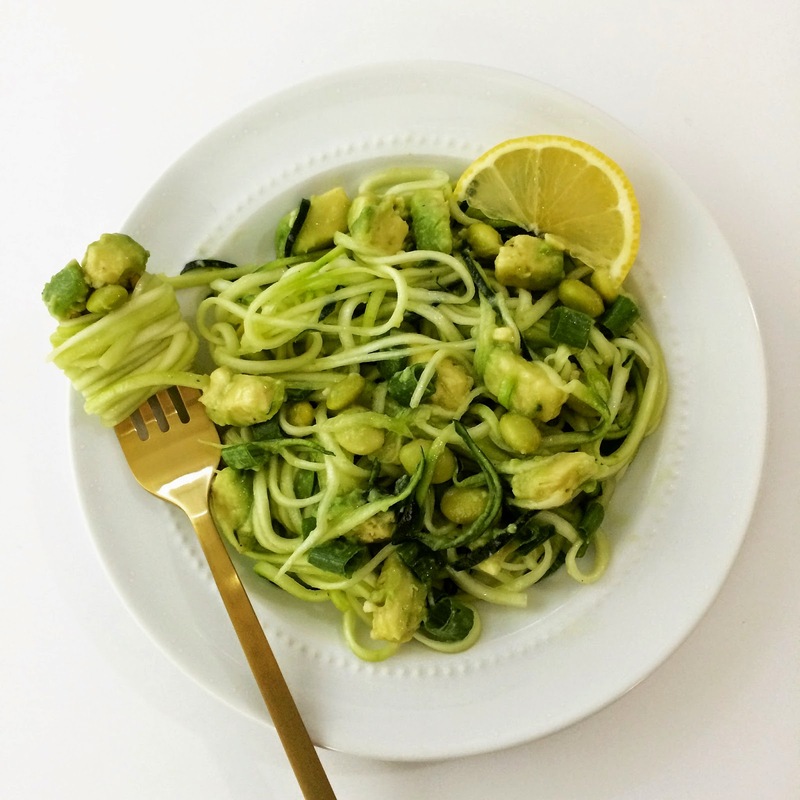 I just commented on another blog that I've got to try out these zoodles! This looks delicious! Saving it for whenever I actually buy a spiralizer, I've been saying I'm going to do it for so long but this recipe might have pushed me over the edge - can't wait to try it! UMMM yes! I need this in my life!!! Now I'm going to Instagram to follow this skinnytaste account! Thanks ma'am! I love Zucchini & that dressing sounds delicious! This sounds so delicious! And looks so BEAUTIFUL! Even though I don't cook frequently, I am so tempted to get the spiralizer! Also, your photos look gorgeous! 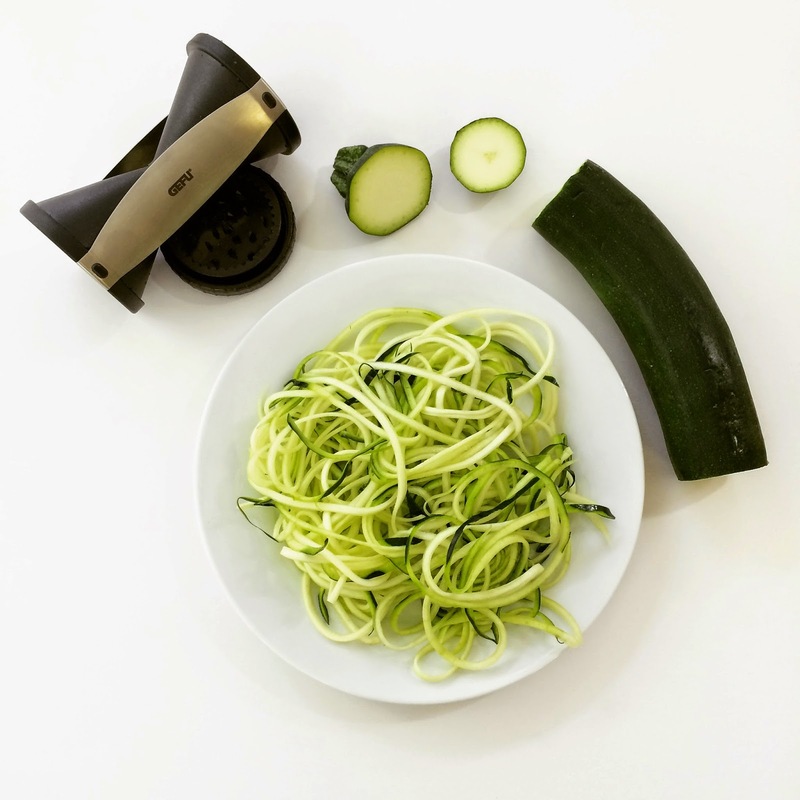 You totally sold me in buying a spiralizer! This recipe sounds amazing!! YUM this looks amazing!!! I really want to buy a spiralizer!! Wow love this recipe idea. I still have NOT used my spiralizer!? I got disheartened when I bought the biggest possible zucchini and obviously it wouldn't work and I haven't tried again since ha. It's due! I just told my husband I wanted to make some zoodles. I think they would be delicious!! These look divine! Look at all the healthy GREEN!!! Sounds delicious! How expensive are those things?! I made zoodles for the first time last night and I now I am hooked! Such a clever device to turn veggies into noodles! I've seen it all over, but haven't tried it myself. Yum! This looks amazing & I wish I had a veggie spiral slicer! This looks delicious! I just found Skinny Taste on Instagram and I've got to get a spiralizer! They look so handy! Yum, this looks so good! And healthy! Can't wait to try it. Thanks for sharing!